The Hyperloop One Global challenge which kicked off in May 2016- to identify the strongest new Hyperloop routes in the world has recently announced the 10 winners of this global challenge. Among the 10 winners, two teams are from India- Hyperloop India and AECOM India. Hyperloop India, a team of academicians and researchers from top engineering, business, and design schools of India – namely BITS Pilani, IIMA, ISB, NID proposed a Mumbai-Chennai route that would provide an east-west connection across India. The 1,102-kilometer stretch would take passengers and goods from Mumbai to Chennai in just 63 minutes via Pune, Kolhapur, Dharwad, Tumakuru, Bangalore, and Vellore. The second team is the AECOM India. They proposed a 334-kilometer route from Bangalore to Chennai Industrial Corridor that would take passengers and goods in just 23 minutes. This route will go via Kolar, Palamaner, Chittoor and Kanchipuram. From hundreds of applicants, 10 systems located in 5 different countries were selected by a panel of experts from fields of infrastructure, technology and transportation as the strongest. The winning routes connect 53 urban centers and 150 million people across Canada, India, Mexico, United Kingdom and the United States. 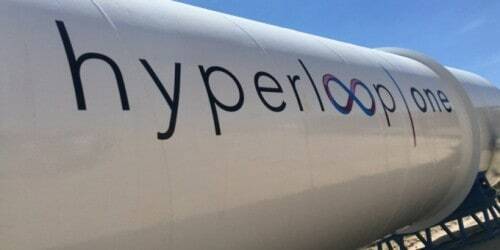 Given the huge opportunities that India offers, Hyperloop Transportation Technologies(HTT) signed a memorandum of understanding with the Andhra Pradesh Economic Development Board earlier this month for developing a 5-minute commute between the city centers of Vijayawada and Amravati.